The National Campaign for Peoples’ Right to Information (NCPRI), whose campaign pushed India towards the Right to Information (RTI) Act in 2005, has suggested that the recently-proposed RTI draft rules virtually proposes to allow the Government of India (GoI) to coopt the Central Information Commission (CIC), the RTI watchdog of GoI. 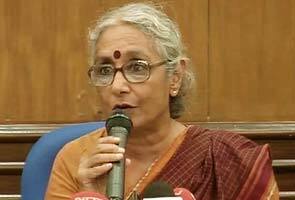 NCPRI is led, among others, by well-known social activists Aruna Roy, who was a member of the National Advisory Council (NAC) chaired by Congress president Sonia Gandhi, till May 2013, when she resigned over non-implementation of NAC recommendation to implement minimum wages for work offered under the National Rural Employment Guarantee Act (NREGA). Taking exception to yet another change, NCPRI believes that the requirement for an aggrieved person to file an appeal to the CIC – online or offline – accompanied “duly authenticated and verified” documents, is strange, particularly when “anywhere between 40 and 60 lakh RTI applications “are filed every year in India” and majority of them are by “the poor and marginalized”.